Follow the Bird for More Alcohol Cats! I’ve added a new Twitter account where you can get more tips & stories straight from the cat’s meow! Where Are the Alcohol Cats? 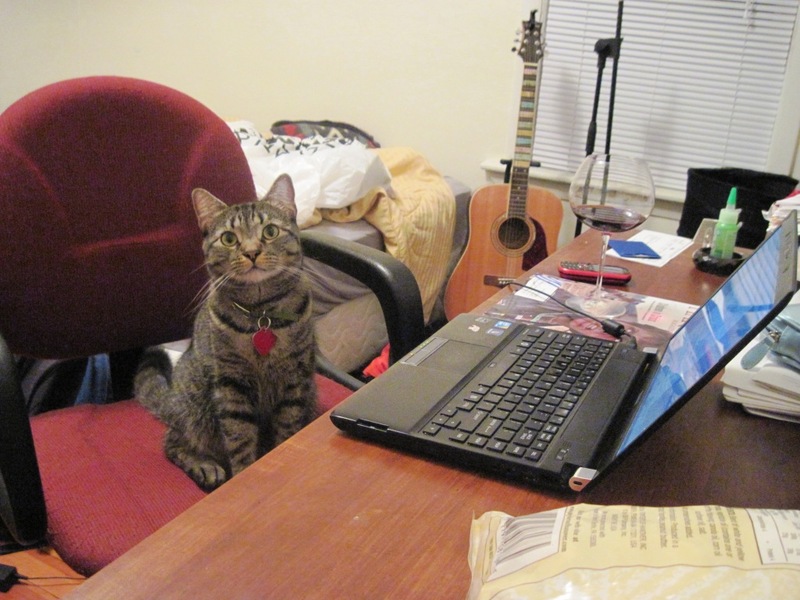 Currently, Smirnoff is extremely busy finishing his masters of fine arts degree, and will be unable to update the Alcohol Cats blog regularly until around Thanksgiving (November 22). While I have had to temporarily reduce my time spent at the shelter, I am still there one day per week helping people choose from the best cats around! Smirnoff is hard at work completing his thesis.